G&L and Sons Renovations went above and beyond in renovating our bathroom. We felt so comfortable with everyone who stepped foot in our house and they never left without cleaning up. We couldn't be happier!! Before the project even started, we knew we made the right decision with hiring Chris and his team. He was so thorough in every aspect and tried to identify areas that may be problems ahead of time. It is better than we could have imagined. Ready to plan a home remodel or renovation project? I was very satisfied. The job was small, but they followed through on time. Everything went according to plan. They finished the little things without me having to ask. G&L is an award-winning member of Guild Quality. 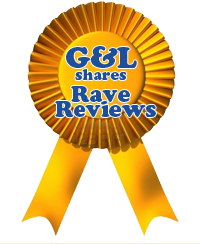 Read more reviews at our Guild Quality page. We look forward to adding your comments. After the completion of your home renovtion project, we're confident that you'll be pleased...we guarantee it!